loaded with juicy chicken,egg noodles,Cabbage,Carrots ,just like from your favorite Chinese Restaurant and it's under 30 Mins! We are Chinese takeout fans family, and all of us wipe our plates clean when we get food from our favorite Chinese restaurant. I have been trying to recreate the same magic of the takeout style food at home and I have been successful to a great extent. 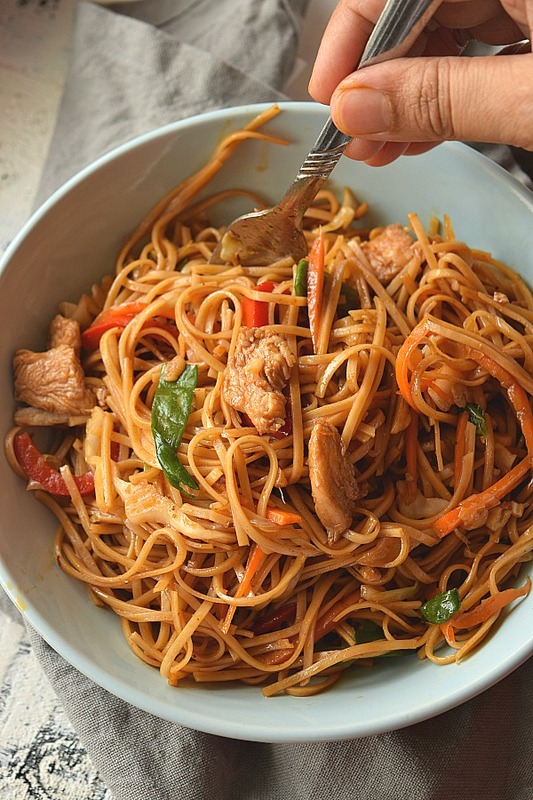 Here is another recipe to share with all,its better than takeout,restaurant-style Chicken Lo Mein,just like how you want spicy,sweet and delicious all at the same time. Lots of vegetables,chicken and egg noddles tossed together in great homemade sauce. 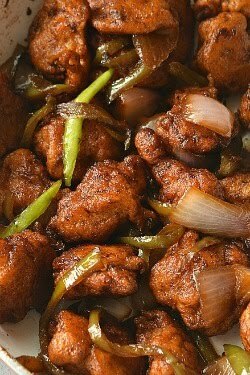 You can try Sesame Chicken along with these lo mein,or you can also try Sweet Fire Chicken Breast, also try Black Pepper Chicken, Kung Pao Chicken or even Hot and Sour soup,that would go so well together. If you love Shrimp Fried Rice like how I do then go ahead try this amazing restaurant style fried rice at home. What is Chicken Lo Mein? 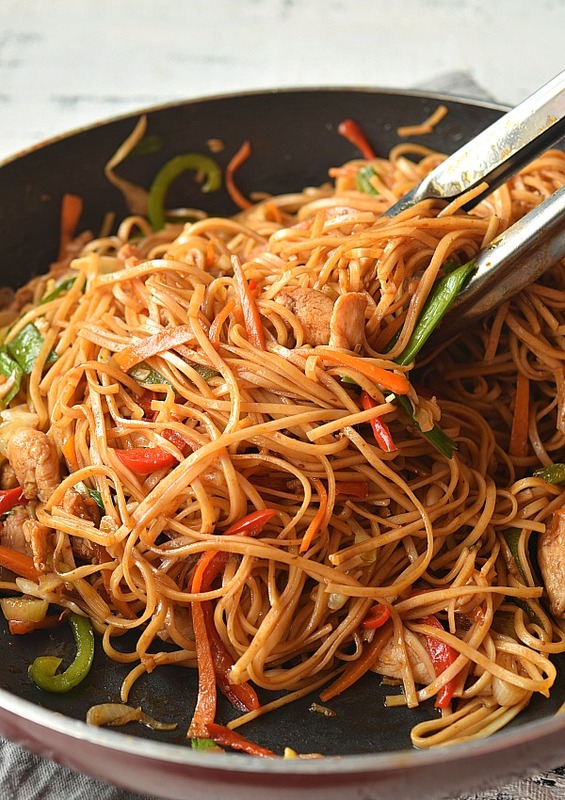 Lo Mein is famous dish served in most of the Chinese Food Joints/Restaurants/Eateries, where the noodles are boiled and then tossed along with chicken or any other protein of your choice,in vegetables and sauces to make this great takeout dish. 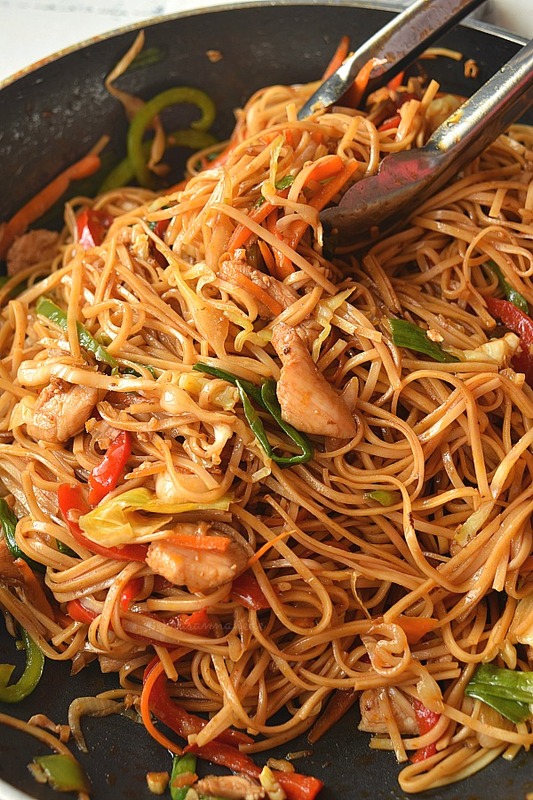 What is the difference between Lo Mein and Chowmein? 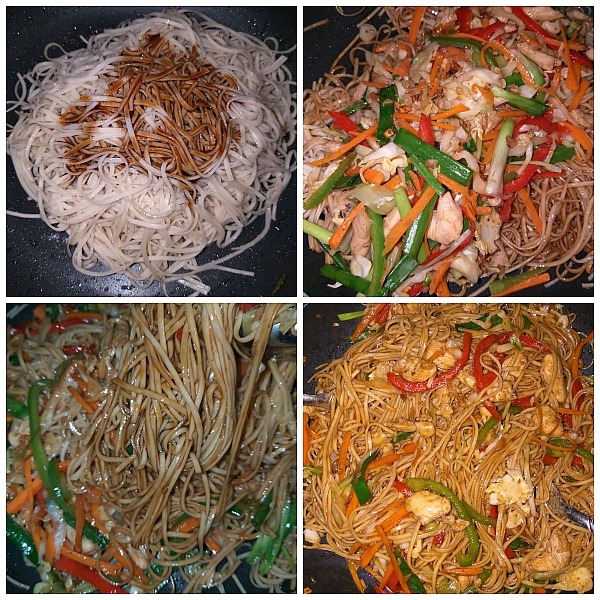 I have found two differences in these dishes.Whenever I have ordered and eaten either of Lo Mein or Chowmein is that chowmein is mostly cooked with thin and fried noodles and in Lo Mein the noodles are slightly thick and chewy. 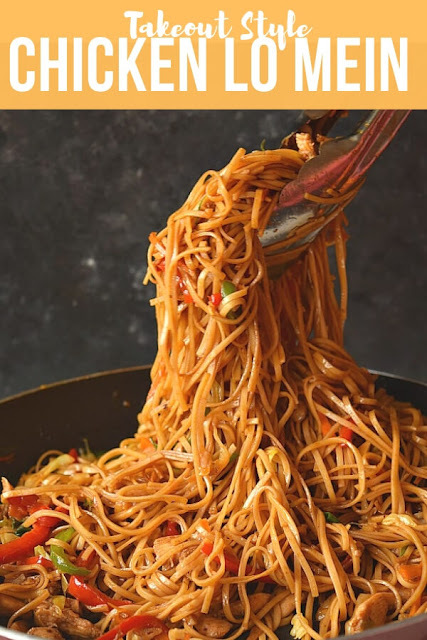 Another one is that in Lo Mein the noodles are cooked/boiled in water then tossed along with vegetables,proteins and sauces to be served,whereas in Chowmein the noodles and stir-fried along with veggies and proteins in the sauces to be served,with noodles being slightly crunchy. But in both the dishes there are Egg Noodles Noodles.So that is the similarity. I have used Egg Noodles here too but the noodles that I found in the store closeby were thin and not round or thick. But the noodles didn't matter as the sauces were spot on! 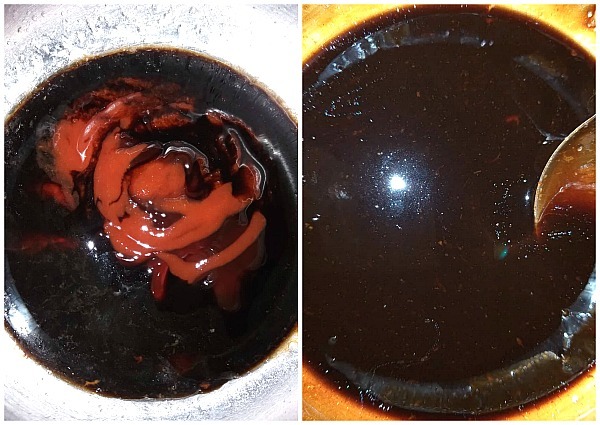 What is the Lo Mein Sauce? 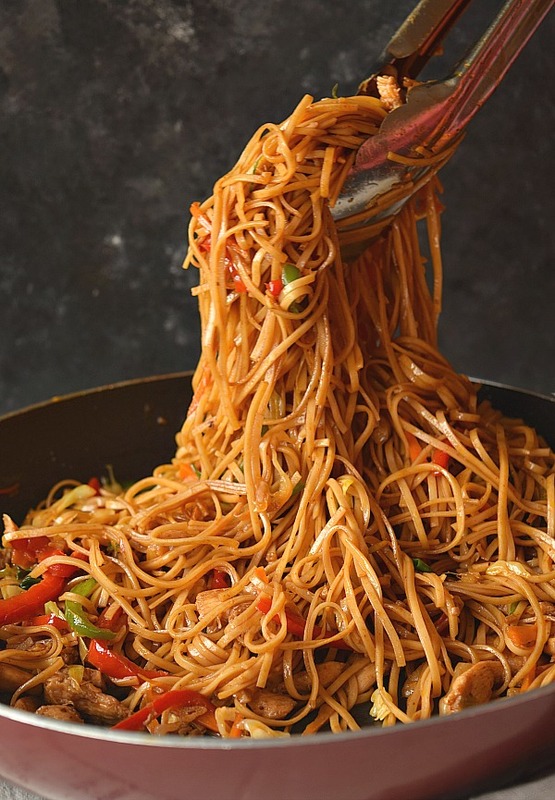 The sauce that goes in Lo Mein is made with Sesame Oil, Ginger,Garlic,Oyster Sauce (if you do not like this then instead use Hoisin Sauce,I love Hoisin too),Sriracha for the heat,Light and Dark Soy Sauces. 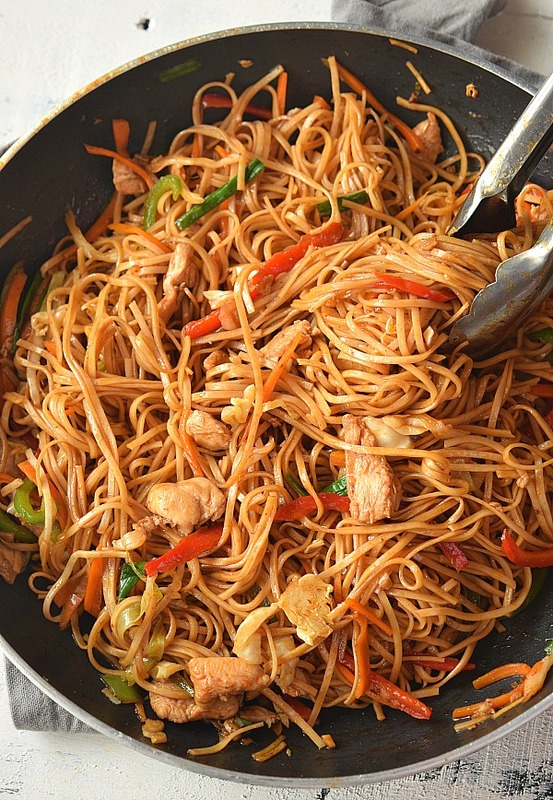 Lo Mein Egg Noodles: Use the round,chewy thick Egg Noodles you will find in Asian stores for this recipe. Even if you cant get, do not worry - even Ramen Noodles go well as the sauce is the important part. 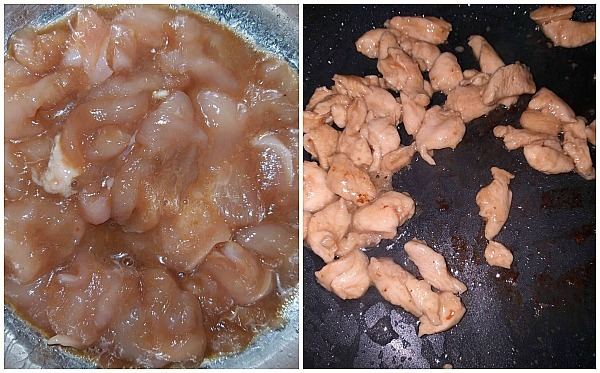 Chicken: I have used Chicken Breast meat in the recipe. 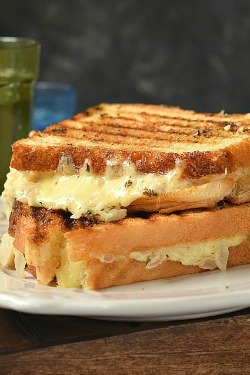 That contains less fat but tends to get dry too fast but you can also use thigh meat also. That is more juicy. Here I have used a method of velveting chicken / tenderizing the chicken by marinating it with little bit of soy sauce and cornstarch. That makes the chicken when stir-fried very soft and juicy. Most Chinese cooking techniques use baking soda to be used for velveting chicken. Sauce Mix: The sauce mix is the important part of this recipe. I have made the sauce a little spicier to adjust to my taste but you can go ahead and make it more spicy or less by increasing or decreasing the Sriracha quantity in the sauce mix. Vegetables of Choice: I have used Cabbage,Carrot,Bell peppers along with Scallions but you can try adding more vegetables of your choice to make it healthier. Cook the noodles as per package instructions and keep aside. Marinate the Chicken pieces with soy sauce,salt and cornstarch. Keep this aside for few minutes. Next in a wok/pan/skillet,add sesame oil and add the chicken pieces here. There should be not much of any marinade left but if there is Do NOT use that as that will make this dish messy. 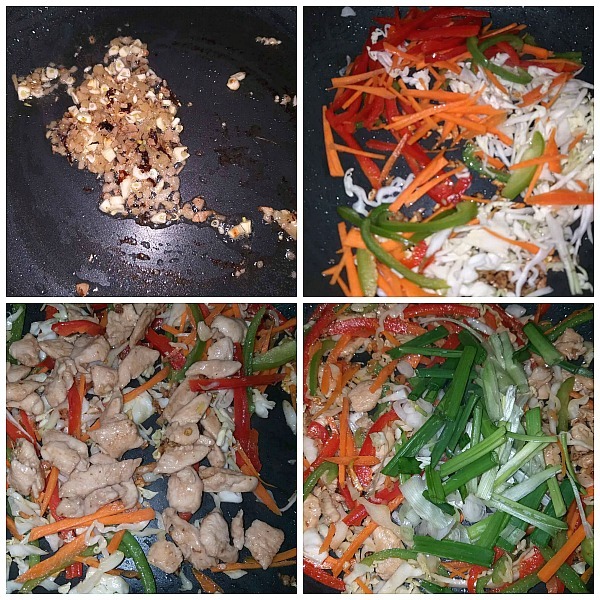 Just use a fork or pair of tongs and drop the chicken pieces in the pan and immediately stir-fry them. Once done keep the chicken pieces aside. In a mixing bowl add all the ingredients for sauce mix. Stir well and keep aside. In the same pan add more oil, add the ginger and garlic,stir-fry it till fragrant. Add sliced/shredded cabbage,carrot,red and green bell pepper, stir-fry further till soft. Add cooked chicken and scallion . Toss everything further till soft,add some salt to taste. Keep the veggies and chicken that's cooked aside. In that same pan, add noodles and sauce mix,toss well so that noodles get coated well with the sauce mix. Next add all the cooked veggies and chicken,toss well to mix,adjust salt. What variations of Lo Mein are possible? Shrimp / Seafood Lo Mein: Cook cleaned Shrimp by marinating with salt and pepper powder. Finally toss everything together to make this amazing dish. 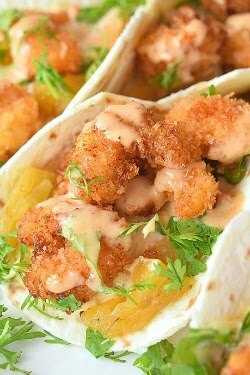 Try adding scrambled eggs in this along with shrimp too. Vegetable Lo Mein: Add vegetables of your choice tossed in salt,pepper powder in this sauce mix along with egg noodles. What are the best vegetables to go in Lo Mein? What noodles are used in Lo Mein? The noodles used in Lo Mein are Egg Noodles. Normally they are thick,round and chewy instead of thin,flat and fried one's like how used in Chowmien. You can try getting them from the closest Asian Stores near you as they have pretty many options available to choose from. 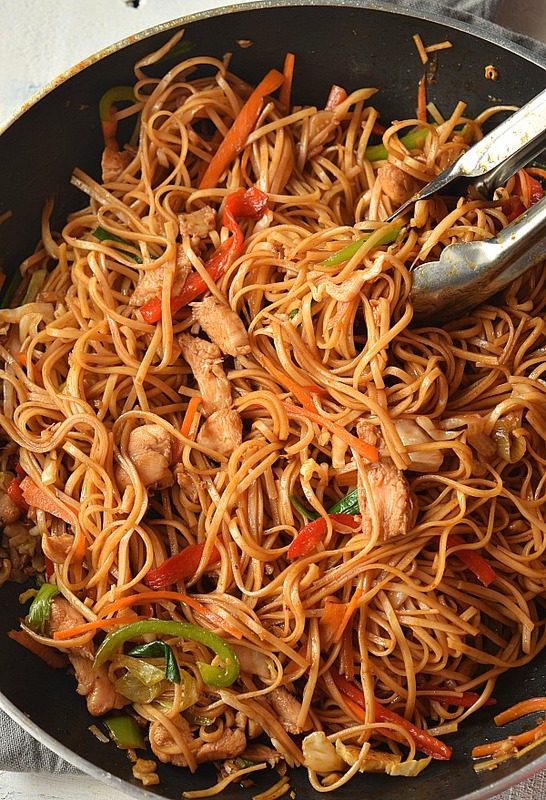 Delicious, Easy and Better Than Takeout Chicken Lo Mein! You love Asian food or Chinese food takeout then this recipe is calling your name with easy steps and ready under 30 mins! Delicious soft juicy Chicken cooked along with vegetables like Red Bell Peppers,Spring Onions,Garlic,Ginger,Onion,Carrot and Cabbage tossed together with Egg Noodles in sauces made from Soy Sauce,Sriracha and Oyster sauce! Delicious dinner/lunch sorted under 10$ . Cook noodles as per package instructions and keep aside. Marinate Chicken with ingredients mentioned. In a pan,add 1 Tbsp Sesame oil, then with pair of tongs pick each chicken piece and drop in the pan. Discard if any leftover marinade. Toss on medium flame till cooked,keep this aside. 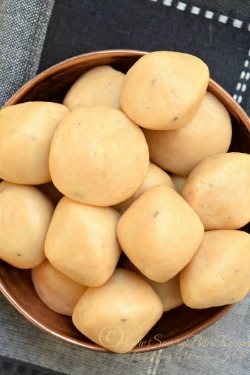 In the same pan add 1 Tbsp Vegetable oil, add the ginger and garlic,fry till fragrant. Do not burn the ginger and garlic or the final dish will turn bitter. Add all the veggies one after other in the order shown in the step-wise pictures. Then add chicken and once they are soft,cooked,keep them aside. In a bowl add the ingredients to make sauce mix. In the same pan,add noodles and sauce mix. Toss the noodles well to coat the sauce well on noodles. Add the veggies and chicken, adjust salt. Toss well to mix everything. If there is no enough sauce for the dish add 1/4 cup water or chicken stock to loosen up everything. Cook on high heat and toss well.